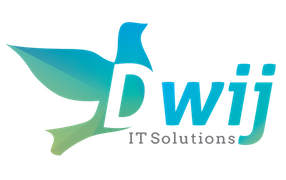 We (Dwij IT Solutions) have developed a smart business management tool that benefits all the peers in an organization to make their work easy and fast. Owners or directors can thoroughly manage all the activities within organization. 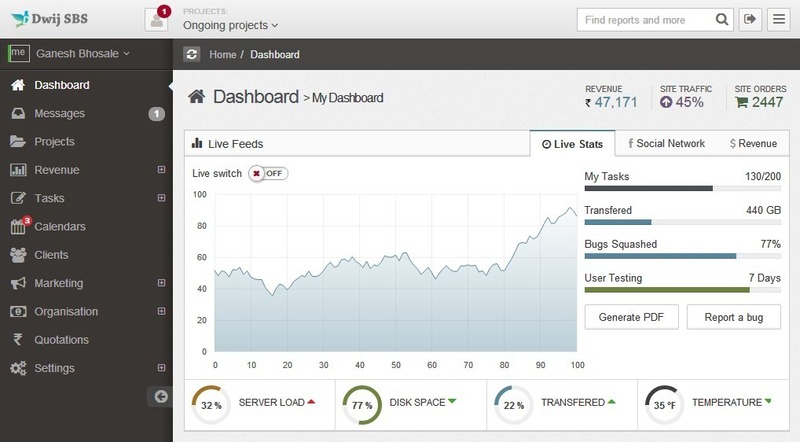 Managers can manage the projects assigned to them. Team leaders can assign the tasks and lookout the progress of theseTasks and Project it belongs to. In short, DwijSBS gives the power to the people in the organization to manage the things accordingly as per hierarchy in the organization. This System is built in Customised CodeIgniter, Node.js, Socket.IO and jQuery. It supports peer chatting and live notifications as well as the heavy cron job activities to meet the organisational needs. This is fully scalable product with no limitations and implemented in “6 organisations” where user strength varies from 100 – 10K.